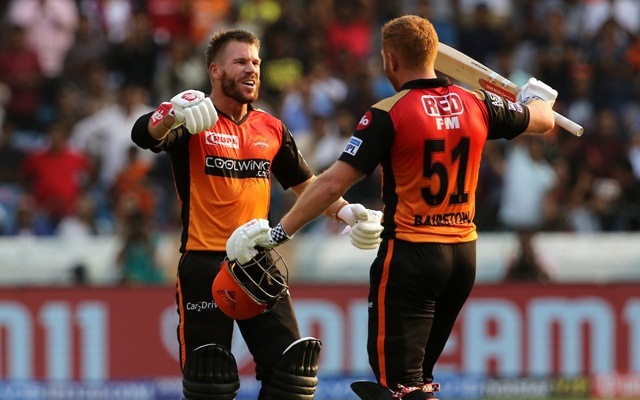 So, the Sunrisers Hyderabad (SRH) are finally playing after a six-day break. A lot of things happened in the points table after their last game on April 8. They are currently at the sixth position with three wins and as many losses and will have to start winning consistently. 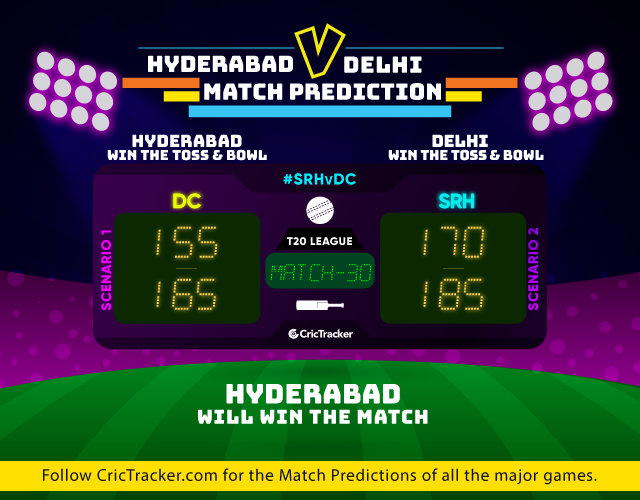 Their first challenge will be going past the Delhi Capitals (DC) who have been playing some brilliant cricket and are coming off a win over the Kolkata Knight Riders (KKR) at the Eden Gardens. Shikhar Dhawan coming back in form is a great news for the visitors and the team will be hoping for him to continue in the same vein. Even Rishabh Pant showed maturity in the chase the other day while the bowlers are also doing a perfect job for Capitals at the moment. It is all about the process for them and a win here will take them to the second position in the points table. SRH, on the other hand, have lost their last two matches and the break came at a perfect time for them. Having said that, their openers Jonny Bairstow and David Warner should be back to their best in terms of scoring runs at pace. The middle-order also looked troubled and there should be some changes in that department. The skipper Kane Williamson is fit and will bat at three as confirmed by the coach Tom Moody. There have been two tails of the Hyderabad pitch so far in the three matches this season. If the first two games were high-scoring, the third game between SRH and MI was a low-scoring affair. The home team failed to chase down 137 in that game. But with a gap of eight days, the surface might have gone back to its best and expect a flat pitch again. No rain is in the forecast in Hyderabad. Tom Moody confirmed a couple of days ago that the skipper Kane Williamson will be playing this game. He will definitely replace Mohammad Nabi in the playing XI which makes up the strongest top three for SRH. Also, Khaleel Ahmed is set to play this game and he will most likely replace Siddarth Kaul who hasn’t been up to the mark this season so far. Shahbaz Nadeem might come in as well at the expense of Deepak Hooda. All the players are doing well according to the assigned roles for the Capitals and there is no reason for them to change the playing XI. Prithvi Shaw will hope to return to form and so is Shreyas Iyer who has failed in the last couple of outings. Colin Ingram is doing just enough batting at number five while the bowling attack also looks potent enough to threaten the opposition.